Click on the thumbnail or the words to see a large image. Many of these are a bit outdated, but some are more up to date. 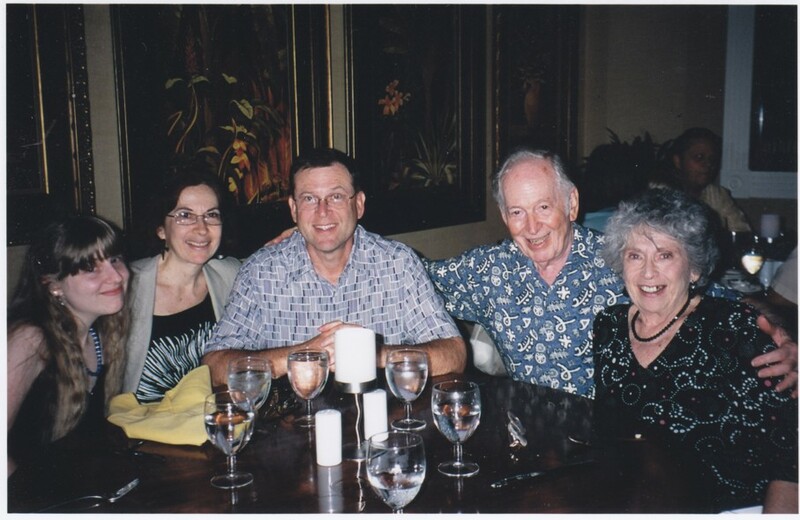 If you want to know who the hell these people are, you'll find explanations in the family page. 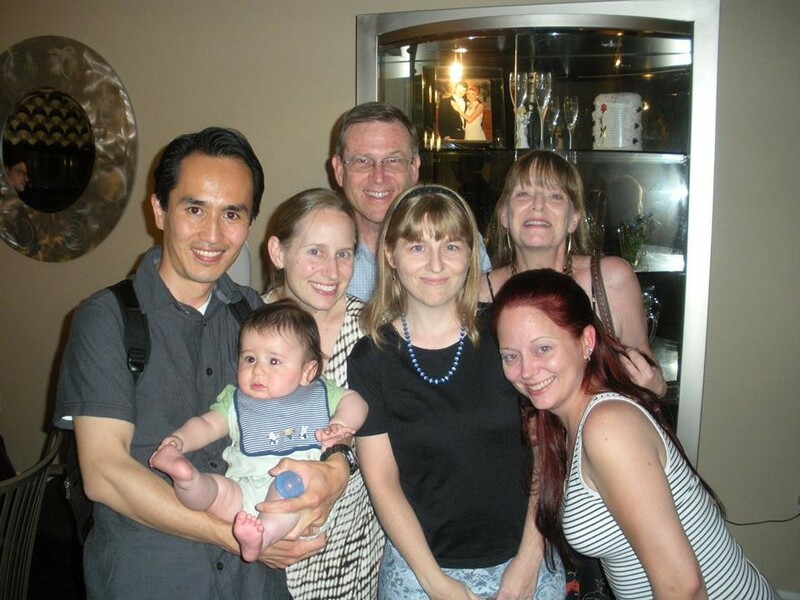 rehearsalfamily.jpg: The night before Lindsay's wedding, here are Dad, Mom, me, sisters Patricia and Lindsay, and brother-in-law Yusuke and nephew Ash. 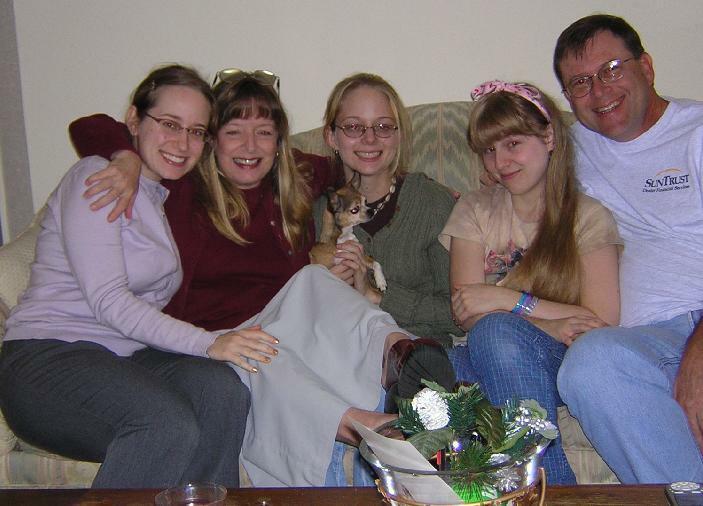 0104fam2.jpg: This is the family all together in early 2004.
dinnerfaces2.jpg: Here's a family dinner: My dad, sister Patricia, sister Lindsay, Lindsay's fiancé Mike, me. 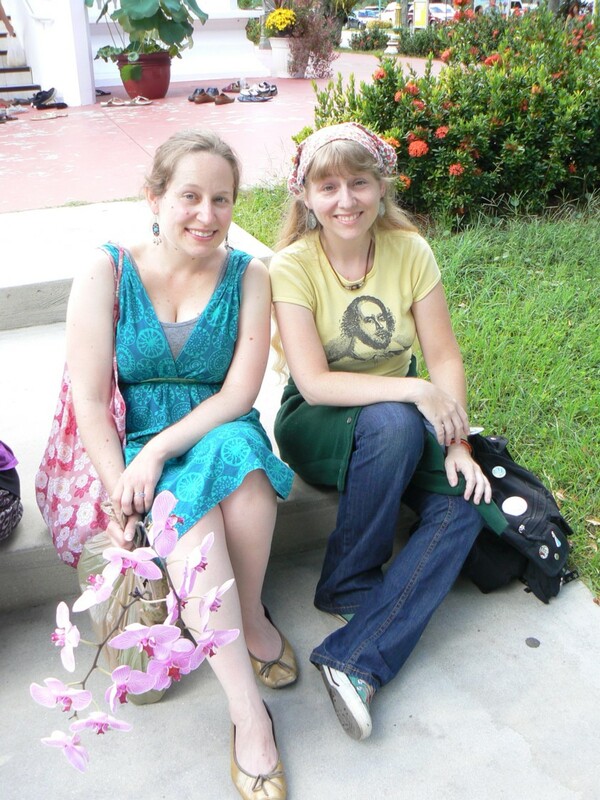 October 10, 2013.
pjtemple.jpg: Visiting sister sits with me on the steps of the Thai Temple. 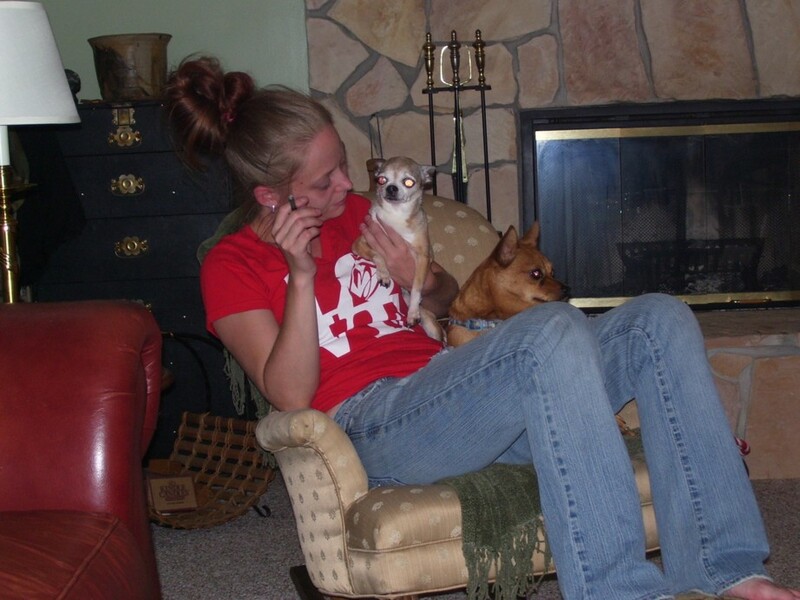 October 6, 2013.
lindsayslapdogs.jpg: Lindsay with both her doggies, Pork Chop and Chewy. 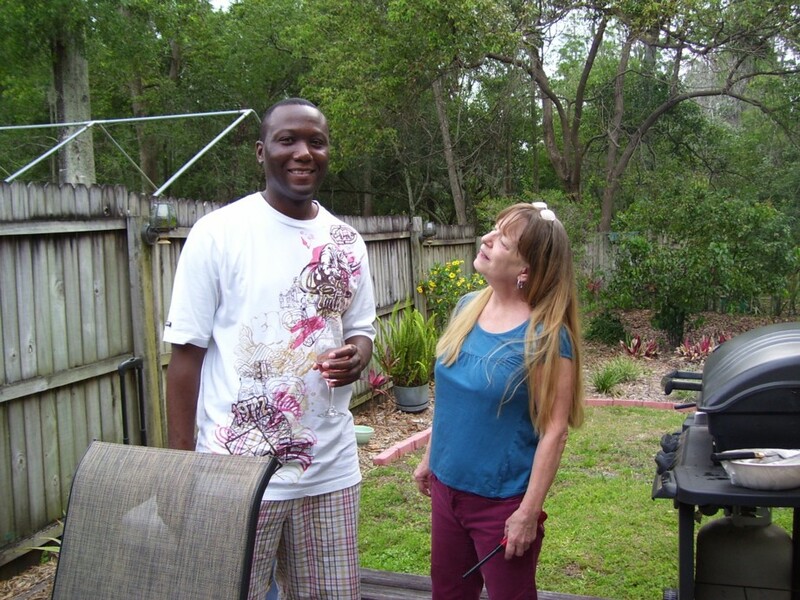 May 11, 2013.
mombernardcookin.jpg: Mom barbecuing with her old roomie and friend Bernard. 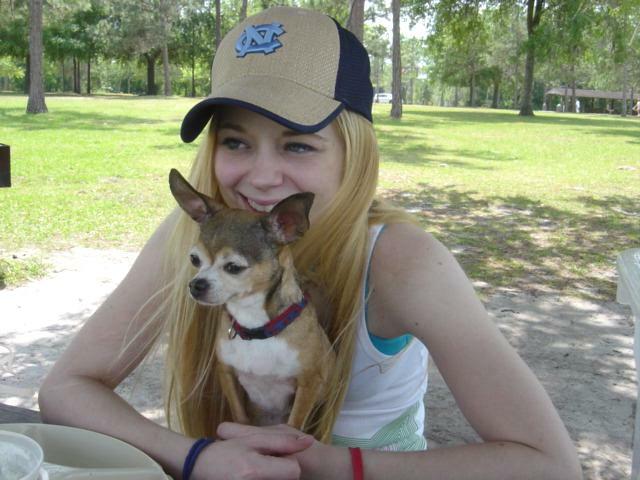 May 11, 2013.
ldoggochewy.jpg: Lindsay with her dog Chewbacca. 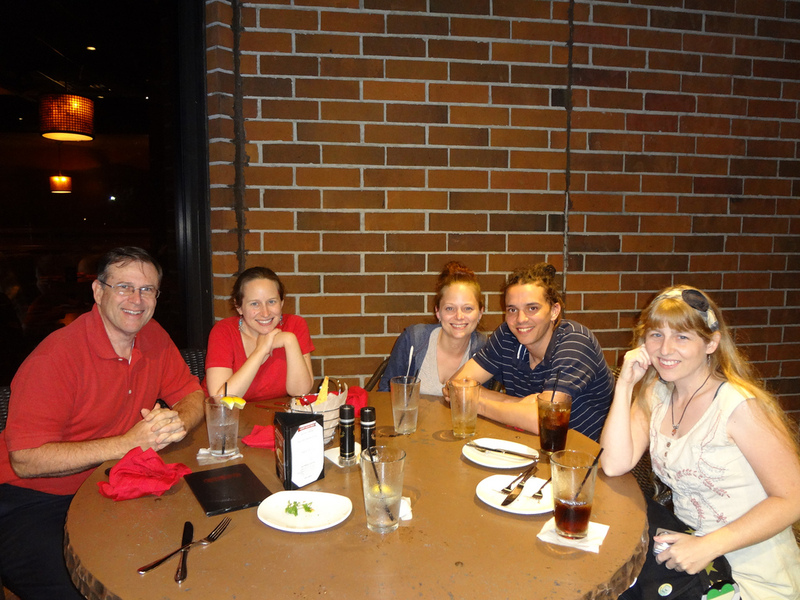 May 11, 2013.
sarasotadin1.jpg: Here's our Sarasota visit for Grandma's birthday at a fish restaurant. 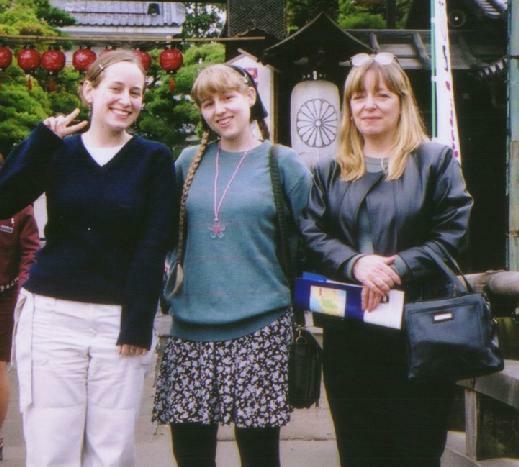 Me, Connie, Dad, Yusuke; Grandma, Grandpa, Patricia. 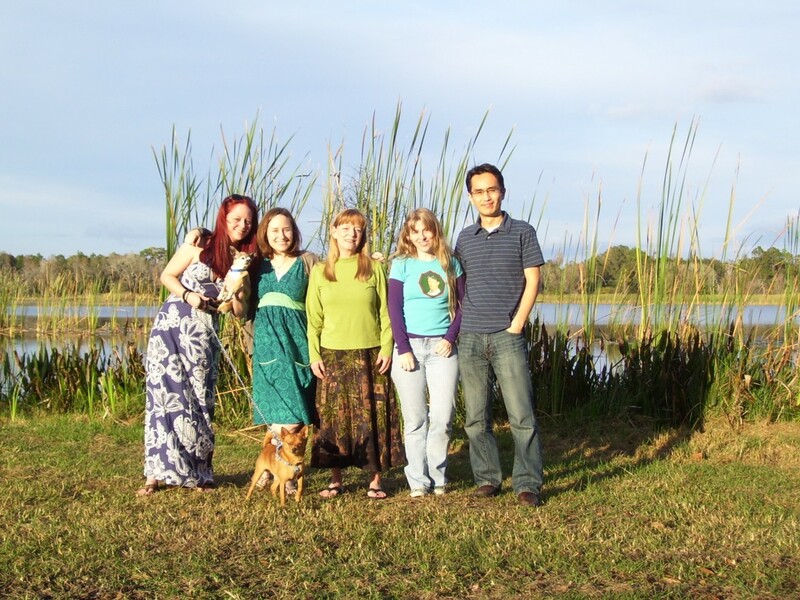 January 2, 2012.
familylake1.jpg: Here's my family posed near the lake! Automated shot! 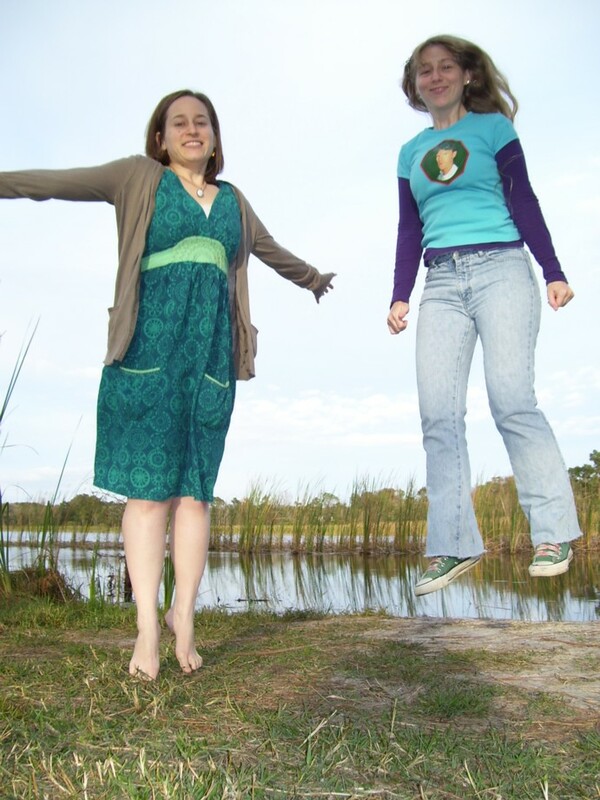 January 1, 2012.
sisterslevitating1.jpg: My sister Patricia played the levitation game with me by the lake. 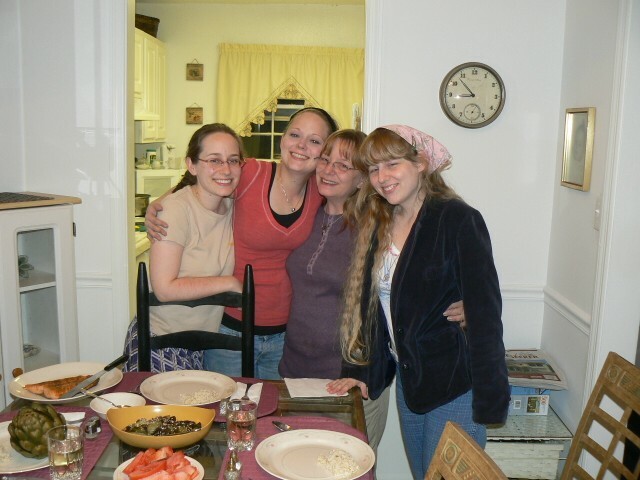 January 1, 2012.
dgirls.jpg: The family girls posed before dinner. April 2007.
bigfamily.jpg: Our family at Patricia's wedding! 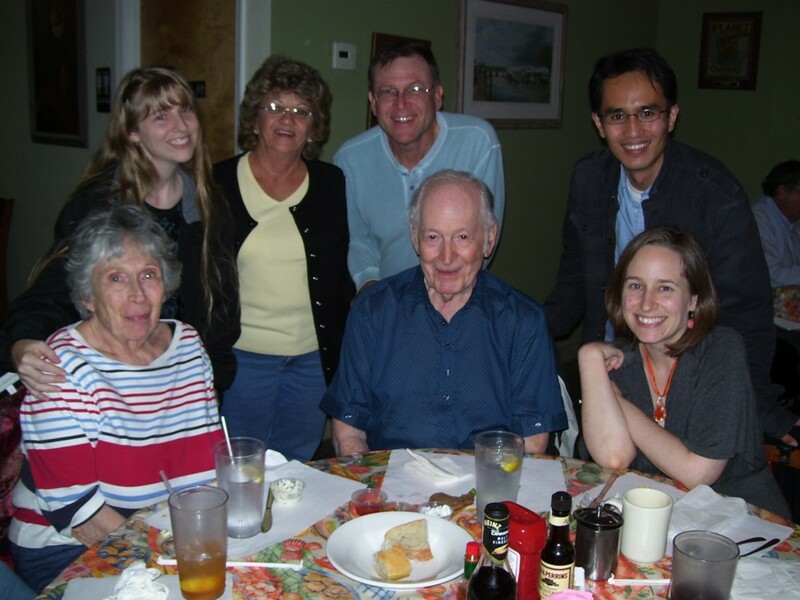 Pictured are my paternal grandparents, my dad, my sister Patricia and her husband Yusuke, Yusuke's parents, me, my aunt Elisa, and my sister Lindsay. 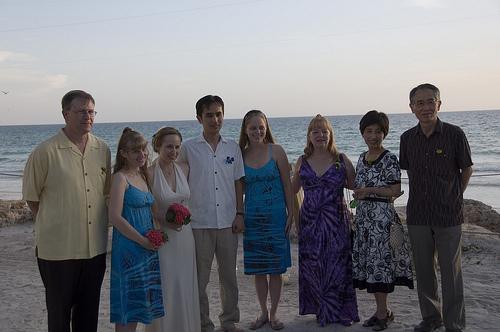 August 1, 2009.
bigfamily2.jpg: Another family wedding shot. 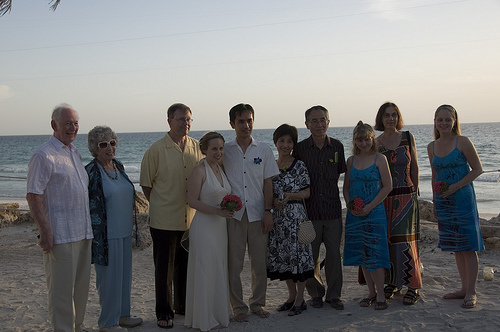 Pictured are my dad, me, my sister Patricia, her husband Yusuke, Lindsay, my mom, and Yusuke's parents. 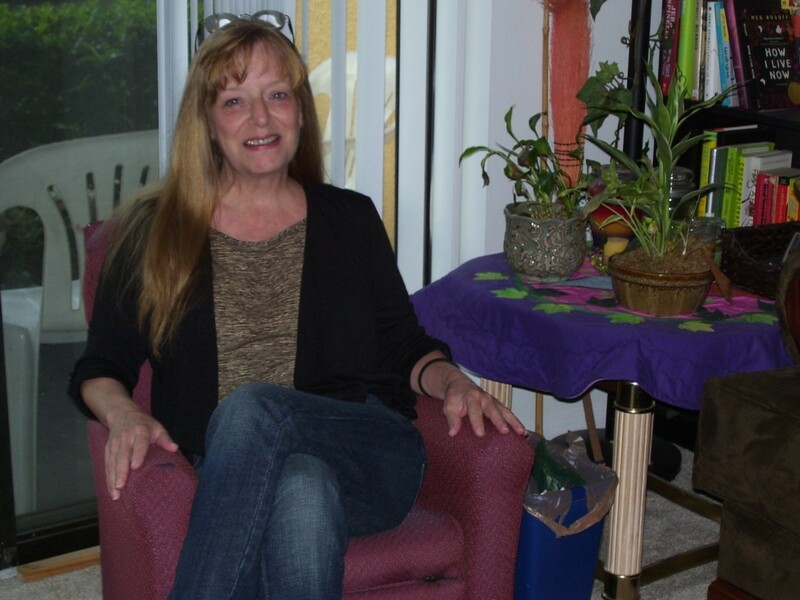 August 1, 2009.
littlechair2.jpg: Mom in a little chair. 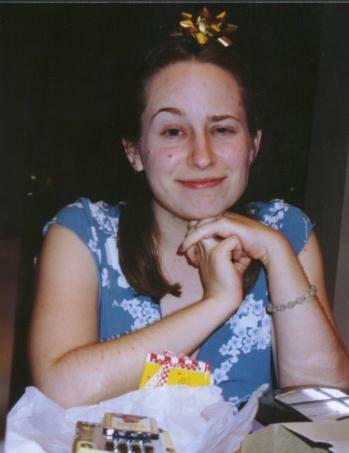 October 1, 2010. 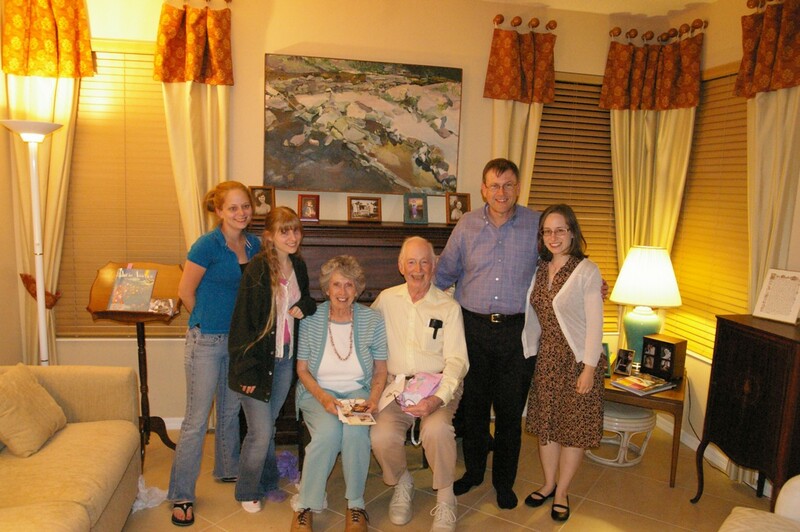 60anniversarygroup.jpg: My grandparents celebrated their sixtieth anniversary of being married! 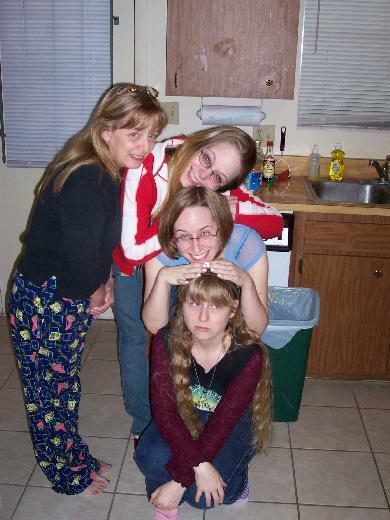 So we had a little gathering. 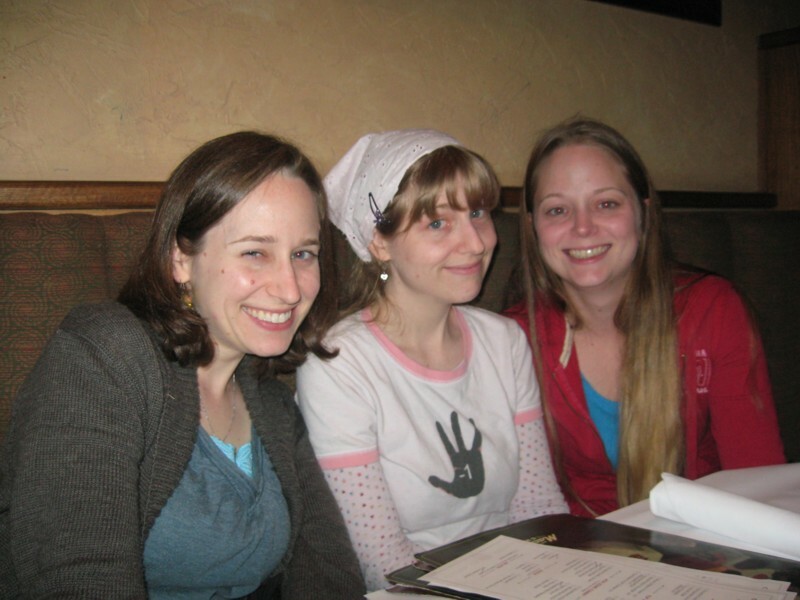 April 8, 2009.
somesisters.jpg: My sisters and me at Lindsay's birthday celebration. 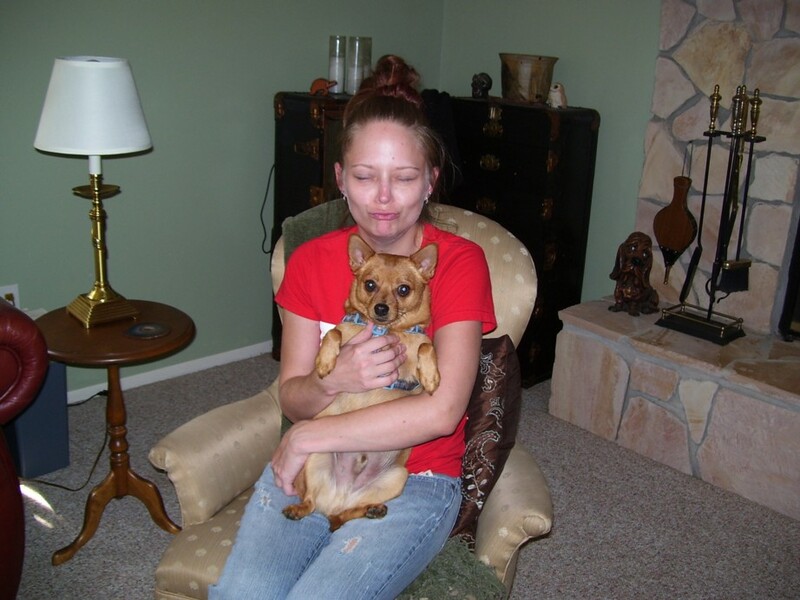 March 7, 2009.
porkturn.jpg: My mom is enticing the dog, Pork Chop, to do a cute twirling trick. 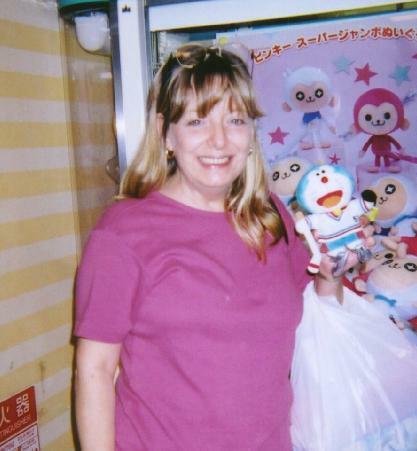 doraemon.jpg: Mom has a claw-drop Doraemon! 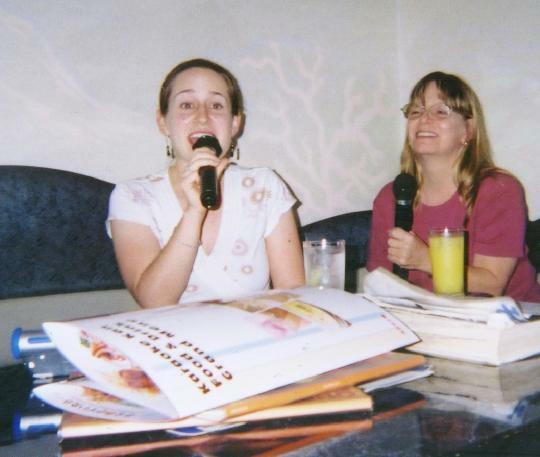 jkar3.jpg: Mom and sister P singing karaoke in Japan. 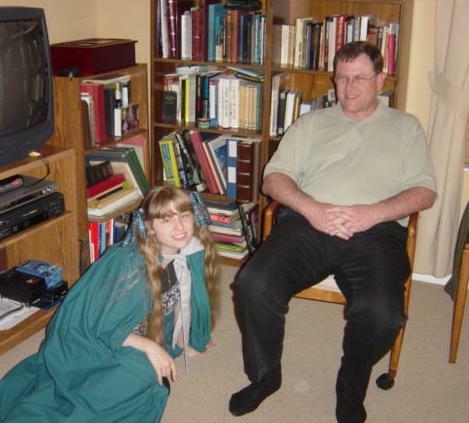 zenkoji1.jpg: We went to Zenkoji Temple, and this is me and my mom and sister P.
dadndatr.jpg: I love this picture of my daddy and me at my grandparents' house. grandpabday04.06.jpg: We had a gathering to celebrate Grandpa's birthday in April, 2006. 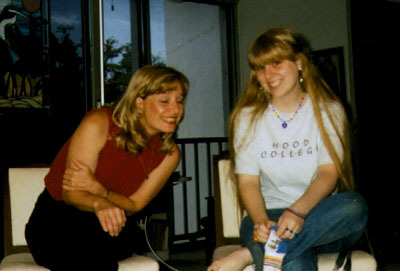 My Aunt Elisa was even there! 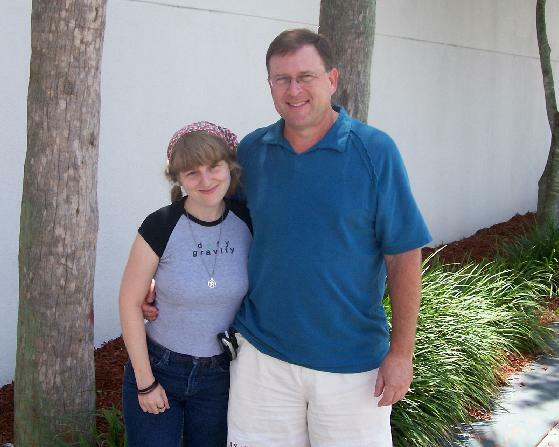 daddyd.jpg: 2005, me and Dad in Orlando. 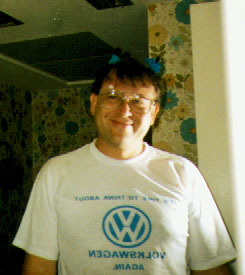 daddy.jpg: My dad in pigtails! 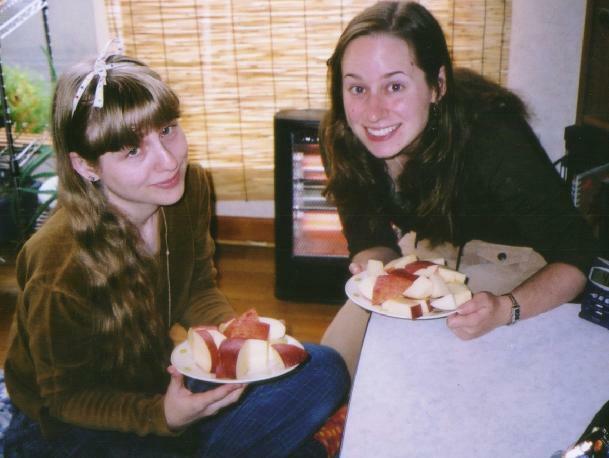 cutringo.jpg: My sister and me in Japan with a giant apple we cut up. pbow.jpg: My sister Patricia with a bow on her head! 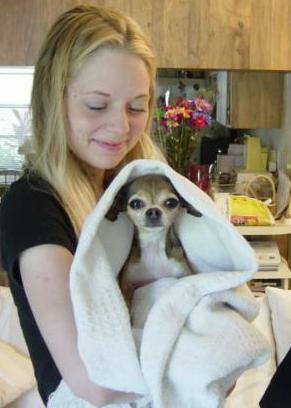 lpork.jpg: My sister Lindsay with her beloved dog Pork Chop. cutepair.jpg: They're so cute together. Why do I have flashes of Paris Hilton? 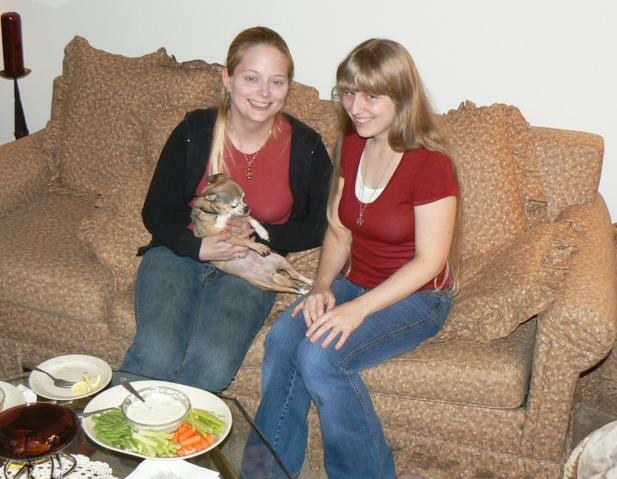 jlwpork.jpg: Here's me and L in 2006 with Pork Chop again. 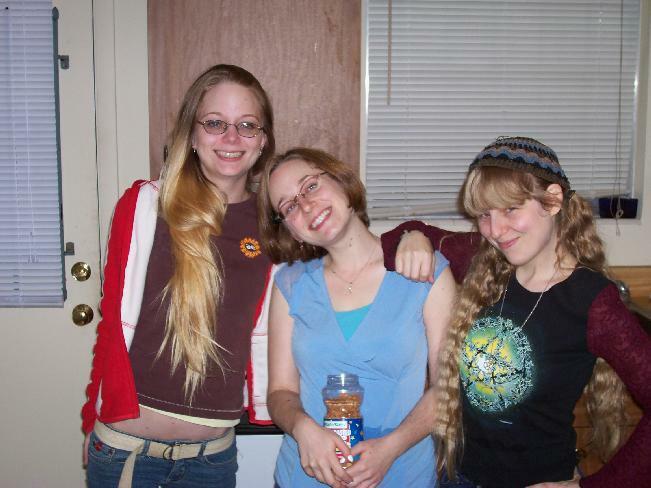 3girls05.jpg: Me and my two sisters together at Thanksgiving 2005.
totemsis.jpg: Also Thanksgiving 2005, with a totem pole of sisters and Mom standing nearby.